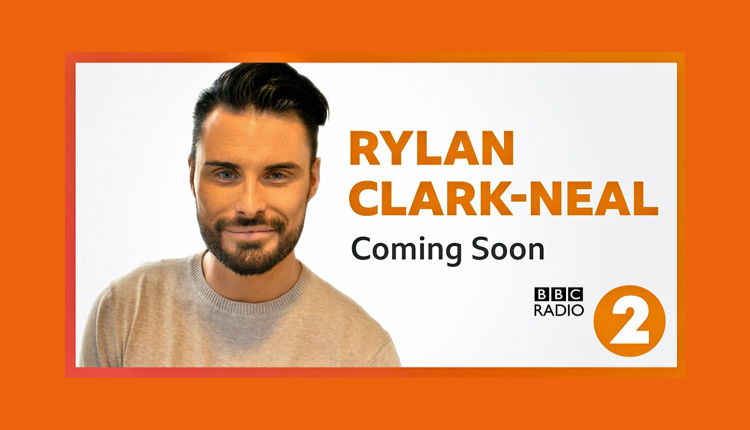 Rylan Clark-Neal will present a brand new Saturday afternoon show on BBC Radio 2 from January 2019, replacing Zoe Ball. He is also the host of Step Back in Time with Rylan Clark-Neal, a six-part series created especially for BBC Sounds, which launches on the 16th November 2018. This is a disgrace,The radio station let go of alex lester and janice long.You have now lost another listener.I supposed you will have steve wright and ken bruce maki ng his green tea. Always the same old, same old, all from the same club. So his gig on Ch 4 ends, oh no, I’m unemployed, don’t worry ol’chum, we can find you a gig. No thought of the general public who want quality radio not some TV Superstar (in their own mind) who I guess will not be self opp and need a team to bounce off of to generate any vibe in the studio. He is an extremely good broadcaster, very able and a very good choice. Good luck to Ryland. I appreciate Fred and Alan’s comments here but have to say with the current management thinking at Radio 2 there are other likely choices they could have been considering that would have been far worse. I know he will not be to everybody’s taste but I think he would be a good replacement for Steve Wright. Maybe that is what they have in mind long term?! Me personally I still mourn the days of the Stereo Sequence with Johnnie Walker and Roger Scott admittedly on Radio 1 in those days. Serious radio for serious music fans but I know those days at the BBC are a major distant memory. To be fair a pot plant would be a good replacement for Steve Wright. Crazy scheduling-there was no need to appoint any new presenter-they could have moved Liza Tarbuck to 3pm then have time for more of the specialist output.By the way I think If anything should be in the Sunday evening slot it’s not Reggae, or R&B but Elaine Paige’s show-that would fit perfectly there and please older listeners. Well done Lewis Carney. Just when we thought your planning couldn’t get any worse you bring us Rylan. Hopefully not too long before we find Simon on smooth. I’ve been a defender of some of the changes at Radio 2 on here, but this is an odd one. They should have given a Saturday afternoon show to Simon Mayo If he wanted time off to go and work on his TV show in Australia for a couple of weeks, no problem. Dermot very rarely does a full month without being off. Not Rylan’s biggest fan got to say & this makes me feeling numb about British radio. Clearly, the best days are now in the past. If he was that good I would have thought Heart would have been an ideal station. I am happy about this, I enjoyed his shows when he stood in for Zoe. I don’t like some of the other changes, no mention of Craig Charles? But I like Rylan, good luck to him. Excellent. BBC Radio 2 is in dire need of more representation from the LGBTQ+ community. Congratulations Rylan. Wrong again. Radio 2 simply needs more good broadcasters full-stop. I don’t know how Rylan defines his sexuality and I simply don’t care. I only care about whether he is a good broadcaster or not. Sorry if that upsets your agenda. Good Luck to Rylan, I enjoy his presenting skills BBC 2 Needs some new fresh talent. All these moaners sound like the Daily Mail Brigade. I am sure he will do well. A strange choice indeed. Watched him mumbling on Strictly last night and coudn’t make out a word he said. Seems bosses a R2 are more interested in Z list ‘celebs’ than people with radio experience. Janice, Alex L long gone and next its Chris and Simon. Guess however he does tick the politically correct boxes. So that’s three more reasons not to listen. 3. Some bloke who’s famous because he once appeared in a crappy talent show. 3. and who should be employed because of his sexuality apparently.